Pitahaya fruit (Hylocereus undatus). 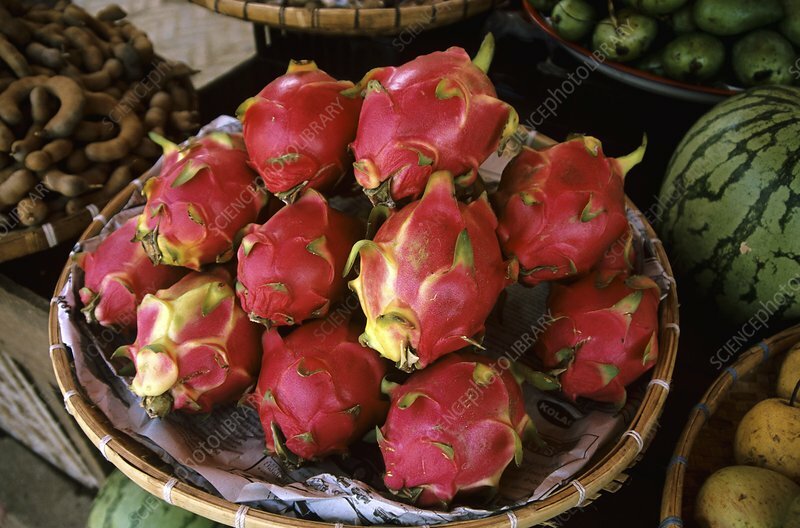 This South-East Asian fruit is also known as pitaya or dragon fruit. The fruit has a delicate aroma, and a creamy edible pulp filled with small black seeds. It is a good source of vitamin C, and is rich in fibre, and minerals such as phosphorus and calcium. Photographed in South-East Asia.